At the Royal Inland Hospital Foundation, we recognise that it takes a huge team to support patient care at RIH. Every staff member plays a valuable role in health care delivery, even those who do not interact with patients directly. The Foundation is committed to supporting the personal development and career goals of all RIH staff. The Give and Grow Educational Fund supports professional development for RIH employees by providing scholarships for participation in courses, conferences and workshops which advance job knowledge, skills and qualifications which ultimately contribute to excellence in patient care. Arlene Bourassa is passionate about contributing to family-centred care for infants at RIH. Arlene also supports a nursing scholarship in the area of paediatric oncology at the University of Calgary. Eligibility: Open to Registered Nurses (RN) who are currently employed in the Neonatal Intensive Care Unit (NICU) at Royal Inland Hospital or are currently being supported by Interior Health to complete their NICU speciality training. Eligible professional development opportunities include NICU speciality training as well as other education supported by the NICU leadership team applicable to care offered in the unit. Applicants must demonstrate an ongoing commitment to nursing in the community of Kamloops. 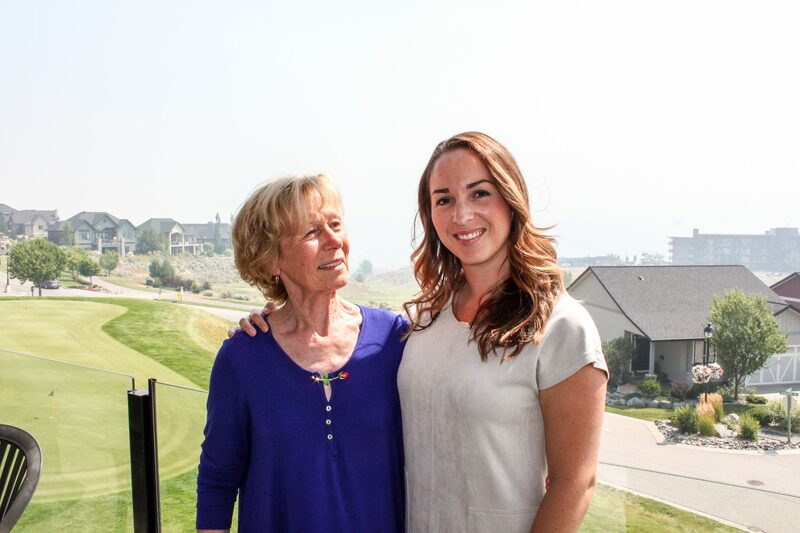 Pictured: Scholarship donor Arlene Bourassa with scholarship recipient Paula Tommasini.